bilaterals.org | A no-go for the US: What is the Trans-Pacific Partnership and why did it fail? During the 2016 presidential campaign, plenty of rhetoric surrounded the Trans-Pacific Partnership (TPP). Much of the debate centered on whether Asia-Pacific trade agreement was a good or bad deal for the United States. Although President Obama was a long-standing champion of the free-trade agreement and was a key principle in pushing the deal through, others were far more hostile towards the 12 nation trade pact. It is also worth noting that although Secretary of State Hillary Clinton, while serving under President Obama, was a proponent of TPP, candidate Clinton also came out against the TPP during the 2016 campaign. It was one of the rare issues where Clinton and Trump shared common ground. Following through on a campaign promise, President Trump utilized an executive order just three days into his presidency to exit the signed but unratified TPP in January of 2017. The controversial agreement still had life in it though as the remaining 11 nation chose to forge ahead sans the United States. 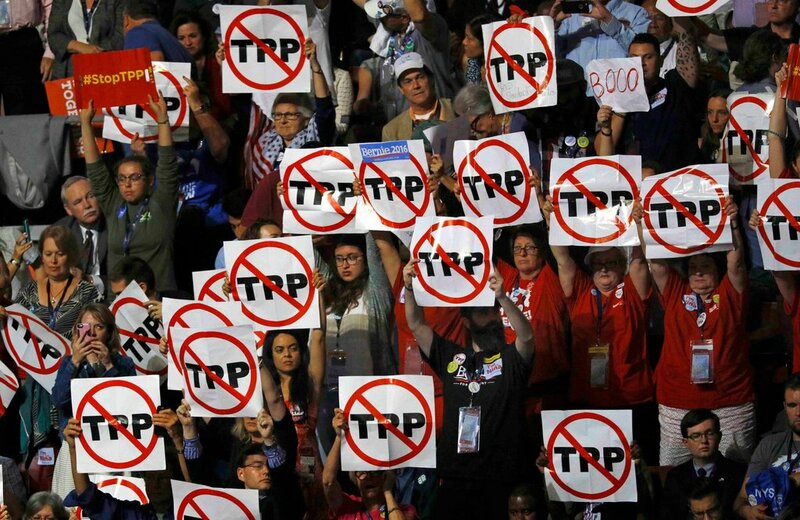 So what is the TPP and what makes it so controversial? And why, even after the world’s single largest economy abruptly exited the deal, did other nations still want to move ahead with it? Officially known as the Trans-Pacific Partnership Agreement, the earliest iterations of the TPP began as the Trans-Pacific Strategic Economic Partnership Agreement or TPSEP. The modest beginnings of the TPSEP date back to 2005 as an agreement between Brunei, Chile, New Zealand, and Singapore, to promote trade and economic interaction between the four nations. Approximately three years later, eight other nations began negotiations to expand the original TPSEP into a more comprehensive agreement with a considerably broader reach. The additional countries included: Australia, Canada, Japan, Malaysia, Mexico, Peru, Vietnam, and the United States. Almost a decade would pass before a final agreement was hammered out and all 12 nations signed the TPP agreement in February 2016. However, only two countries – Japan and New Zealand – ratified the deal before President Trump withdrew US participation. Beyond simply improving economic relations, the intended purpose of the TPP was to remove trade barriers and to significantly reduce tariffs. The TPP also set up a system allowing the dispute of unfavorable trade practices between the member states. Even though it included only 12 nations, the agreement was anything but small. The 12 participating countries account for almost half of the world’s economic clout. The total population of the signatories totaled over 800 million – over 10% of earth’s population and more than the whole of Europe. The reduction in import taxes was set to include some 18,000 plus tariffs, running along varying timetables with many scheduled for elimination altogether. Several international institutions, including the World Bank, as well as the US International Trade Commission, reported that the agreement would prove a benefit for the member states. Others, however, such as economists at Tufts University, were less sure. At the time, many speculated that the larger goal of the TPP was to stand as a rebuke to China’s expanding economic influence. After the US withdrew, the remaining 11 nations moved ahead with the Comprehensive and Progressive Agreement for Trans-Pacific Partnership or CPTPP. Not nearly as robust as it would have been with US involvement, the CPTPP still represents the world’s third largest area of free trade, behind only the North American Free Trade Agreement (NAFTA) and Europe’s Single Market. Why Did the United States Withdraw from TPP? As is the case with most geopolitical agreements the answer as to why a nation would participate in or withdraw from any trade agreement depends on whom you ask. In the case of the United States and the TPP, it’s important to understand the nuts and bolts of the deal. The TPP as originally negotiated stood to increase US exports across several sectors, including the auto industry and agriculture. The total benefit in increased exports by the US was set to exceed $120 billion by 2025. The agreement also set about bettering incomes – $77 billion earmarked for US workers alone – and included regulations affording environmental and wildlife protection. However, the TPP drawbacks were difficult for some to stomach. Regarding the income gains, most of the increases would have ended up in the pockets of workers already making more than $87,000. In fact, a study from the Center for Economic and Policy Research reflected a pay cut for 90% of the US workforce should the TPP be ratified. Another sticking point from the TPP was its language about patent and copyright protection – specifically when it comes to medical drugs and limiting cheap generic alternatives from entering the marketplace. Finally, the manner in which the respective parties negotiated the TPP agreement was not open and transparent in the minds of many. The secretive nature of the process left plenty of opponents suspect of its actual intentions. The concerns of how the bulk of the deal came to be proved particularly valid with the revelation that the TPP could potentially supersede any domestic regulations and laws in favor of companies that were instrumental in pushing the agreement through. This facet of the TPP ultimately read as corporations dictating financial policy versus the governments that were elected by a nation’s citizens. Some opponents questioned these provisions, going so far as to state that the agreement as a whole would place US sovereignty at risk. For his part, President Trump maintains that the deal remains a no-win for the United States. In April 2018 however, he did signal a willingness to reconsider his position if the agreement was re-negotiated with terms more favorable to the US, something the other 11 nations have balked at – and in particular Japan. Trump stated on several occasions his preference for bilateral agreements. As of the end of 2018 though, none have been signed. Additionally, Trump’s short-lived reconsideration of potentially re-entering the TPP has yet to be revisited. How Does TPP Compare with NAFTA? One aspect of the TPP that was overlooked in the fervor of the US backing out is it represented the second major trade treaty the US would have been joining. The United States, along with neighbors Canada and Mexico, is the leading member of the North American Free Trade Agreement – better known as NAFTA – for nearly two and a half decades. Since its inception, NAFTA’s goal is to generate free trade among North America’s three major economies. It also provides guidance and regulation between the three countries on customs, investments, disputes, procurement, and protection of intellectual property – just to cite a few examples of the sweeping agreement. When weighing TPP and NAFTA against each other, the two agreements could not seem farther apart. One is very much a global deal, spanning 12 nations and incorporating multiple spheres and economies. The other stands purely as a regional arrangement, albeit one that is very large and influential. Upon closer inspection, however, plenty of similarities exist between the two pacts. With the US as the centerpiece, the TPP would have given the country a more significant stake in Asia and the Pacific in much the same way as NAFTA did here on our home continent. The aim of promoting free trade through tariff reduction and removing long-standing barriers. The inclusion of provisions that remove the bureaucracy of customs interactions, make dispute resolution easier, and generates more widespread investment. Both favor the spread of the footprint of corporations and in turn, deregulation, versus installing restrictions on the movement of capital and goods and services. Perhaps most importantly, the single biggest factor uniting these two trade agreements is the opposition to both by President Trump. His disdain alone led to the TPP being dead on arrival, but also resulted in the reworking of the 24-year-old NAFTA agreement into the United States – Mexico – Canada Agreement or USMCA. NAFTA solidified the role of the globe’s leading economic power heading into the turn of the century. The TPP was set to broaden US influence across Asia and the Pacific while providing a counter to China’s unfettered growth. Of course, we’ll never know how precisely the TPP would have shaped both US and global economic and trade policy, at least with regard to how the agreement was negotiated prior to President Trump taking office. As NAFTA gives way to the new USMCA, it remains to be seen the long-term trade impact of a far more aggressive United States. Should China continue to exert its influence, the US may revisit its current arm’s length approach.